Mick Fanning is a professional surfer from Australia who is also regarded as one of the best surfers ever. The 3-times ASP World Tour Champion is nicknamed as “White Lightning” and presently ranks #2 in the ASP World Title Rankings. 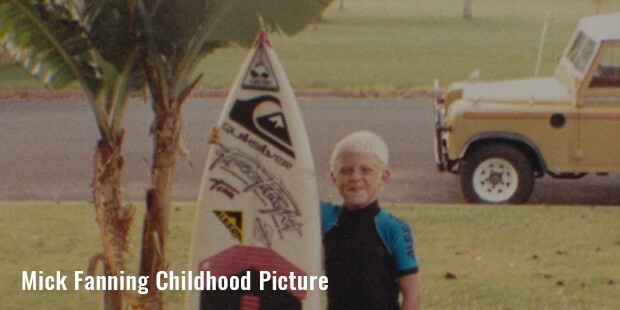 Michael Eugene “Mick” Fanning was born in an Irish family on 13th June 1981 in Pernith, NSW, Australia. Mick had his first ever stint with surfing at a tender age of five in coastal South Australian town of Mt. Gambier. He went to Palm Beach Currumbin State High School. Mick took to serious surfing as he reached 12, when his family shifted to Tweed Heads in NSW. There he grew up together with fellow pro surfer Parkinson (Joel) in Northern Rivers/Gold Coast region. Fanning steadily started to make waves with his remarkable surf stints from a very early age & by1996 the teen boy emerged as one among the finest of surfers not only in Queensland but in the whole of Australia. Fanning embarked on his pro career expedition winning Australia’s one of the most acclaimed tournaments Rip Curl Pro in 2001. He was honored as “rookie of the year” in 2002 as he won Billabong Pro which also earned him a slot in WQS Champion for 2002 tour.In 2004, Mick suffered a bad hamstring tear & had to go under surgery. However, he was brave enough to bounce with a stellar comeback and even won the ASP World Tour in 2007. His victory at 2007 Quicksilver Pro heightened his world ranking to #1 & he also won Santa Catarina Pro the same year. After a serious groin-injury in 2008, Fanning evolved even stronger only to become the ASP World Tour champion again in 2009. He donned the coveted glory once again in 2013. His latest surfing expeditions were Ship Stern Bluff & Billabong Pro Teahupoo in August 2015. 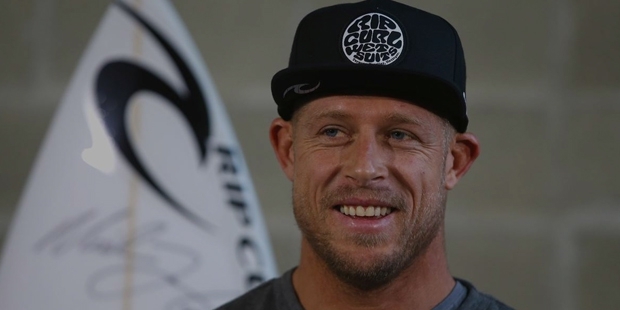 Fanning won the ASP World Tour in 2007, 2009 & 2013. 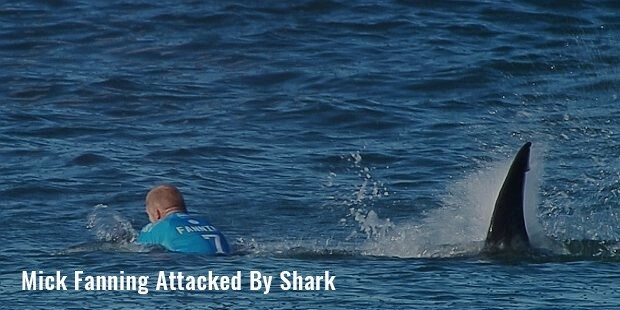 One of the most jaw-dropping incidents of Mick’s career is his encounter with the great white shark on 19th July, 2015 in South Africa hosted J-Bay Open. The great surfer was with Julian Wilson at Jeffreys Bay when a huge shark swam right to him and after an intense fight along with fellow pro surfer Julian Wilson- both Fanning & Wilson finally succeeded to reach up to the shore safely. 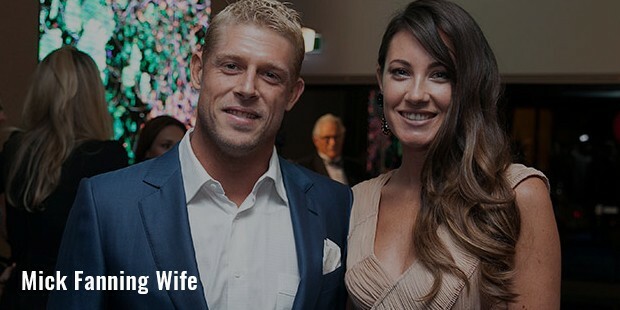 Mick Fanning is married tofamous model-beauty Karissa Dalton. Tim Baker has released a biography on Mick Fanning, named “Surf For Your Life: Mick Fanning”.Moreover, 3 biopics have been released on the great surfer-Fanning the Fire- 2002 Mick, Myself & Eugene-2006 Missing- 2013 A great surfer since his teen days, Mick Fanning has been an inspiration to many pro surfers and athletes around. His never-say-die attitude despite severe personal tragedy and serious injuries serves as a great boost for a lot of aspiring achievers.